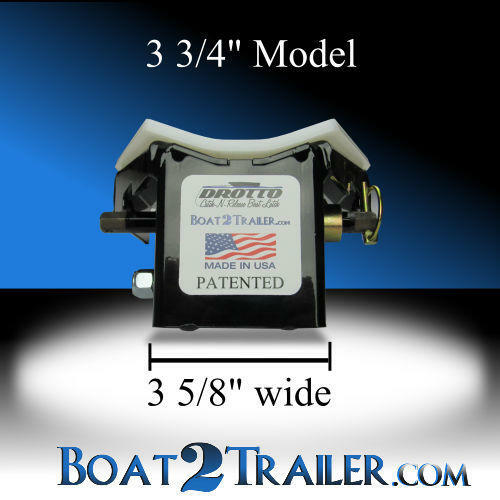 Drotto Boat Latch 3 3/4" Model - Automatic boat launch and load system. 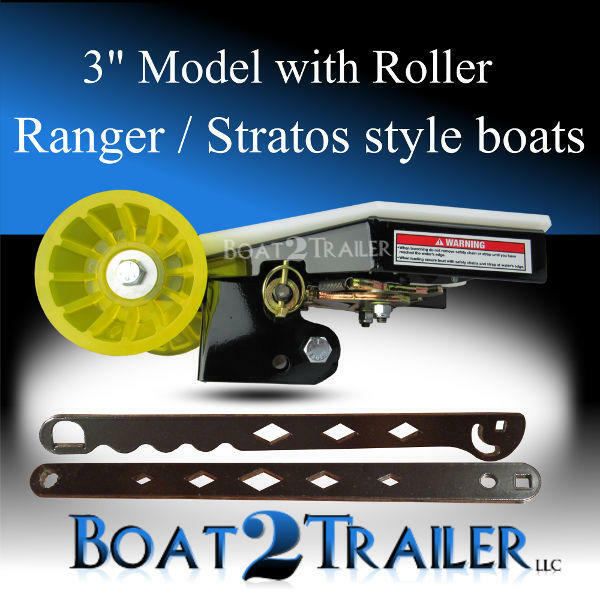 The Drotto Boat Latch 3 3/4″ Model is designed to replace a 3 1/2″ – 4″ inch bow roller for a V front boat. **Just add spacers or washers for larger rollers**. 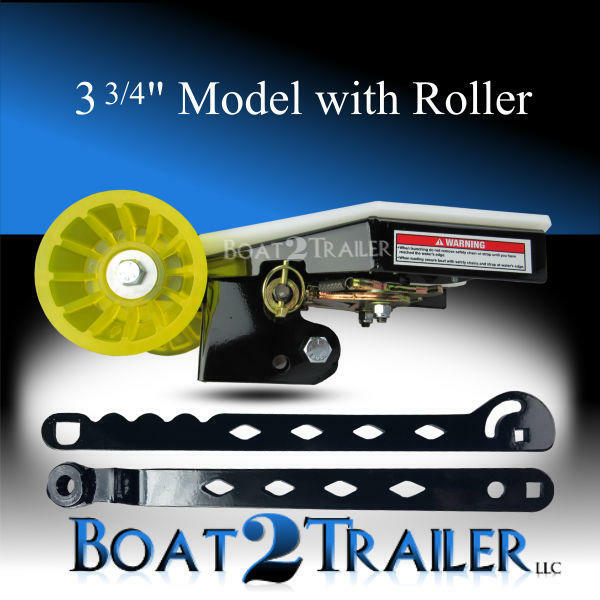 Please measure the inside space between your existing bow roller on your trailer and make sure it is 3 1/2 inches wide or larger. 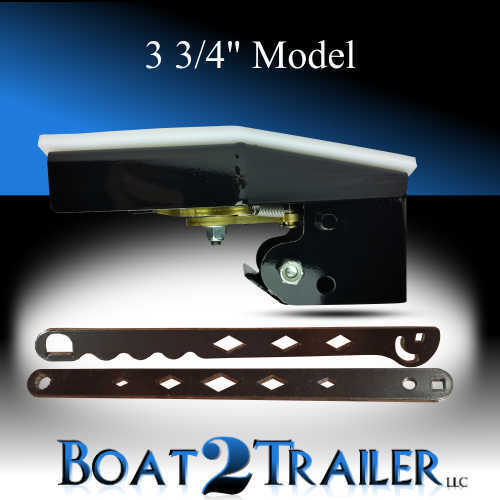 If the specs are 3 inches – 3 3/8″ wide please refer to the 3 inch boat latch. The latch is constructed of a very heavy gauge steel and weigh’s in at 10lbs. It’s sturdy. The 2 piece arm is included with purchase. 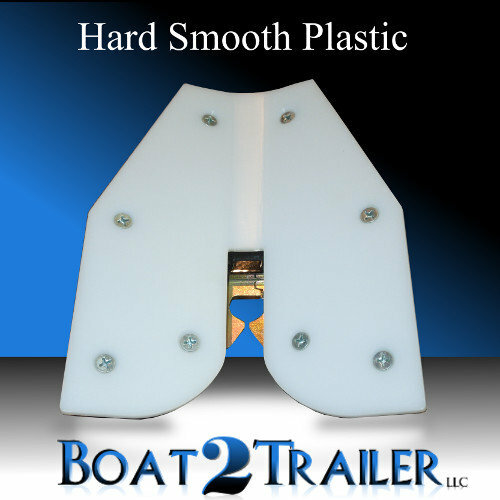 The boat latch comes in two different coatings. Zinc (silver) and black powder (black). 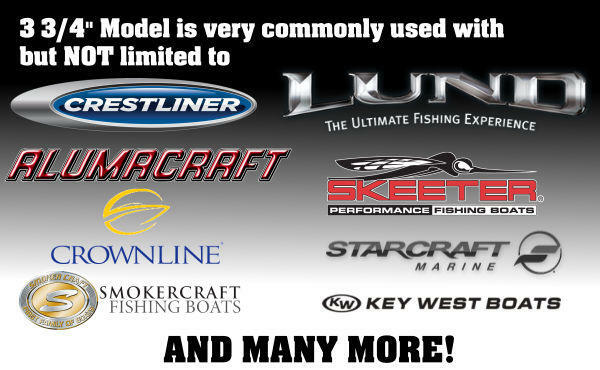 **NOTE** This will not work on pontoons or flat front boats. I have not received the item yet but sounds great! I have the Boat 2 Trailer hitch, zink 3-3/4 model, on a McClain double axle saltwater boat trailer for my 24′ Blue wave bay boat. I have been using it for about a year. The hitch works like it is advertised and I would purchase it again. Takes the trouble out of launching my boat. NO more wet feet. My wife/fishing buddy never gets out of the truck any more. Great idea and works great. People are amazed watching me load the boat without getting wet. How can those above rate without having it in hand!! Yes, it works fantastic. I’ve had it for 2 boating seasons now and it works everytime! One of my best boat accessory purchases. Mine is on a shorelander roller trailer with a 1850 Crestliner Raptor. 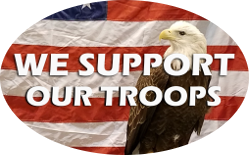 You will not be dissappointed! Works great. Easy to install. The only issue I had with my Ranger bass boat is that I had to leave the bolt loose enough to allow it to drop down when putting the boat back on the trailer. Well I was apprehensive about getting the Drotto Boat Latch at first, but I really needed something like this. I get into some pretty tough boat launches were I go fishing. Not to bad to install just had a little problem with the release arm install because the hex shaft were the two hex pieces welded together did not quite match up. I was at a ramp with out a lot of tools so I had to hammer it on with a socket but after a couple of times on and off it was fine. I found that on a steep ramp when the trailer drops suddenly especially with bunkers you need to run her up a little harder than I would like but it worked fine. A little more use and I should have it down pat. So all in all it was a good purchase and made life a little easier just as stated. Also good costumer service and that’s worth lot. The Drotto boat latch works awesome! 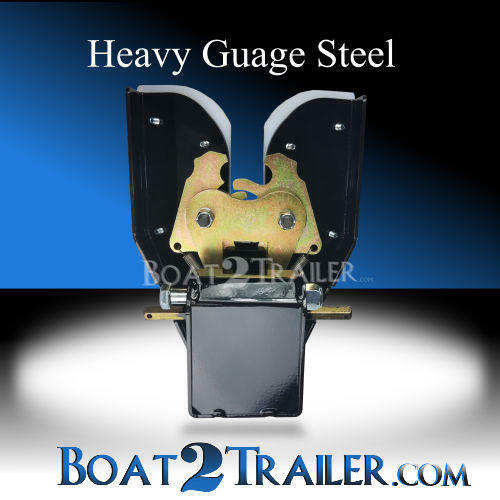 It enables the boat operator to launch and load the boat without needing to access the winch to safely release and secure the boat to the trailer while on the ramp. I speeds up the process and eliminates the need to get your feet wet which adds to the congestion of a busy launch area. With a Drotto boat latch and a second person with trailering experience, you can launch and load your boat in less than a minute. The Drotto boat latch may cost a bit more than other latching systems but I can say that I wish I would have bought one long ago because they are worth it! Works awesome and as advertised. I did have to move my winch post about 4 inches towards the tongue to ensure the back end of my boat remained fully on the bunks. Additionally I paid full price and now its on sale two months later! Worth the money regardless. Just buy it and get on with your boating life. Everyone at the docks are amazed and asks questions. Lund 1800 Fisherman, Shorelander roller trailer. Installs fairly easily. Had to move the winch stand forward about 3” so boat would again sit properly on trailer. A learning experience for me. I launce at a steep but shallow area. Launching was no problem but I do need to put the trailer in a bit further to avoid it rolling off too fast. The first couple times loading I had the motor trimmed up and the bow went over the stop resulting in some nasty scratches. After realizing my err I trimmed the motor down and was able to load and latch. I still need some practice but overall for me I think it will be a good investment. Best money I’ve ever spent for a boat type accessory. I’m getting older and it’s a little more of a chore for me to crawl around and up and over the boat and trailer to launch and load. Stuff you just take for granted as a younger person. I do a lot of fishing alone and the Drotto takes all the work and or worry out of the launch/load process. No worries about the weather affecting it. No need to get wet. Back in, step off the dock into the boat, pull the rope, done deal. Going home? Just drive up wait for the snap and step out on the dock, pull out and strap it down. It’s a beautiful thing! Absolutely love it, and recommend it to anyone who owns a boat, whether it be fishing or pleasure. Do yourself a favor and get one of these!!! I have a Lund Pro Guide with a roller trailer. This device makes launching and loading the boat much easier! Very easy to install. Fantastic! Incredible! Don’t know how I’ve gotten along without this all these years!! It works awesome!! Because I fish alone most of the time I always had trouble getting boat to load straight on trailer and boat would sit on one fender or the other. With the Lund Pro Guide I don’t have to back into water so far as it hooks boat and is out of the water unable to sway one way or the other. It is holding up real well and would recommend it to any one. Thanks for making a product that does what it was advertise to do. I have used it for 2 years on a Lund 2075 Tyee on a roller trailer and I have never had an issue with it. One of the best purchases that I have ever made. We didn’t know if it would work with the type of hull my jet boat has, but tried it anyway. It installed and worked exactly like it should, I wish I had one of these years ago. Just installed on a G3 bay boat used for Law Enforcement. It is a great add-on for single Officer operations making it faster in emergency situations. we are so impressed we are adding to another of our boats. The best thing I got for my boat trailer. The ease of use is fab. Hands down the best money you can spend for trailering your boat off the water. Locks my big heavy Ranger Fisherman in place. I’m extremely extremely happy with mine. In my Opinion one of the Best things made since the Wheel. Ease of installation to the ease of releasing and securing your boat when finished. Best product I’ve added to my rig. Makes loading so easy. I highly recommend this product! I love my Drotto! I have had the Drotto for over a year now, seems to be very well built. It makes launching and landing my boat a breeze by my self. Even better with another person! In and out of the ramp in under a minute. Install is super easy. I would buy again without hesitation. Thank you for this awesome product! It took a little adjustment and trial and error concerning trailer depth in water. When that was figured out,it worked perfect. 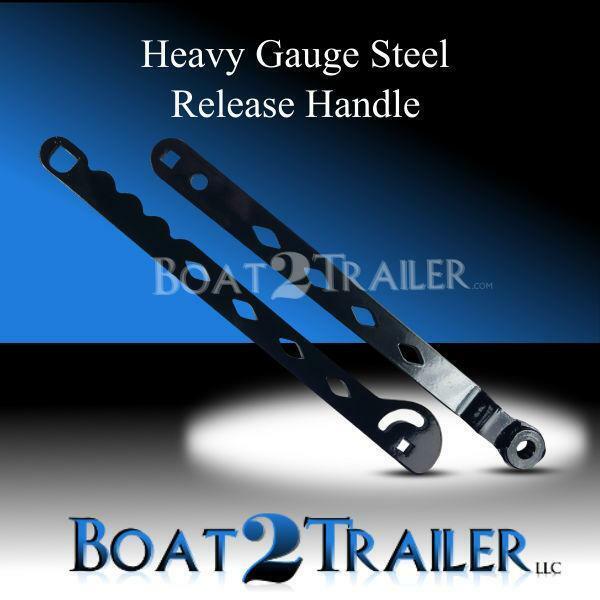 I called the Boat 2 Trailer folks to make sure what size I needed for my Lund 2075 Pro Guide Tandem Trailer and they were very helpful in assisting me with the right product. I was amazed at how quickly the product arrived at the house (2 days). Installing the Drotto was a breeze…honestly it took like 5 minutes. I fish alone most of the time and the Drotto makes loading and unloading a breeze. What are you waiting for buy it and enjoy! Added the Drotto to the trailer this year and I just love it. Works every time, no more standing on a slick ramp trying to hook up the boat . Mine is an Alumacraft Dominator with an Alumacraft (Phoenix) trailer and it fit and works perfectly. Couldnt be happier. 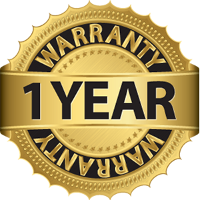 Customer service is also excellent, I had a few questions and the were more than helpful. Works as advertised and works as expected. Unloading is a breeze and loading is so slick. Installation took a few minutes and I did have to move the winch post forward a couple inches so the transom sat where it needed to on the trailer. 2075 Lund Tyee on a roller trailer loads and unloads like a dream. No more wet feet. Best thing I have added to my boat. I could go on and on like a lot of the reviewers did but as I’m not a paid promoter I will keep it short and to the point. Works as advertised and best of all, no more wet feet! Awesome. I Guide Walleye on Green Bay and I put my 24 ft boat in and out faster then everyone at the launch with the exception of the other guy with the same setup. Again Awesome product!!! !